Typical springtime scene. Unstable weather, clouds are piling up. 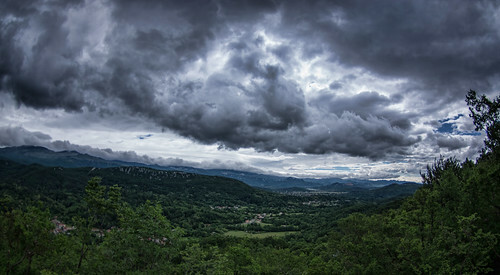 The photo was taken in the hinterland of Rijeka, Croatia.